You are here: HomenextNew contributionsnextWho remembers Agnes (Annie) Jones and her Mandolin? Gerry (Gerald) Jones a contributor to the site informs me that his family moved to the Langdon Hills area in the early 1930s and after a few moves had settled at Hillside, Victoria Avenue by 1939. His mother Agnes (Annie) Kate Jones along with others formed a concert group and practiced at ‘The Hut’ in Samuel Road, Langdon Hills. 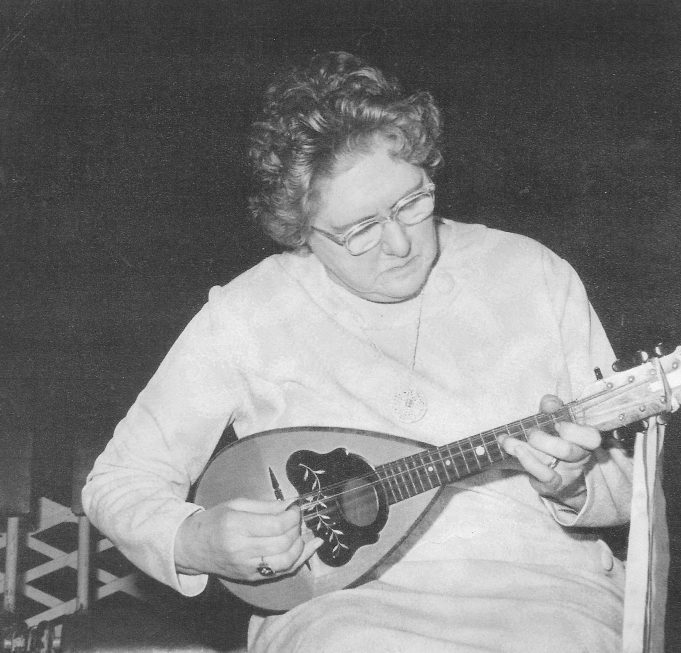 One of Agnes’s rolls was to play a Mandolin and in addition to performing with the group she gave mandolin lessons and with her husband George taught old time dancing at ‘The Hut’. Following the development of Langdon Hills the family relocated in the 1960s to Lee Chapel North but it was not long before the group was reformed, practicing and performing at the Community Hall in Lee Chapel North in Ballards Walk and performing in many other Basildon venues, for example the Arts Centre. 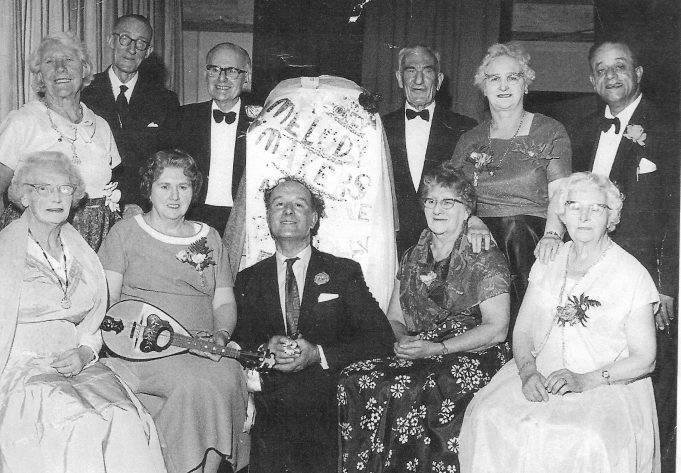 The group became known as the Melody Makers and they did not just perform in Basildon, they covered a wide area, from Shoeburyness to Ockendon, from Dagenham to Canvey Island. In 1969 alone they performed over 50 concerts. Their producer, organiser and compere was William Thompson, a professional showman from Southend. 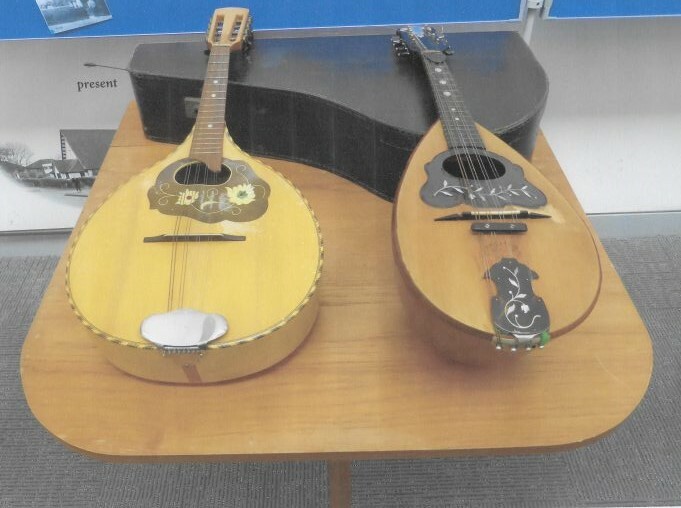 Her mandolins have been donated to the Basildon Borough Heritage Society by Gerry. They are often on display at the heritage location at the Green Centre, Wat Tyler Park. 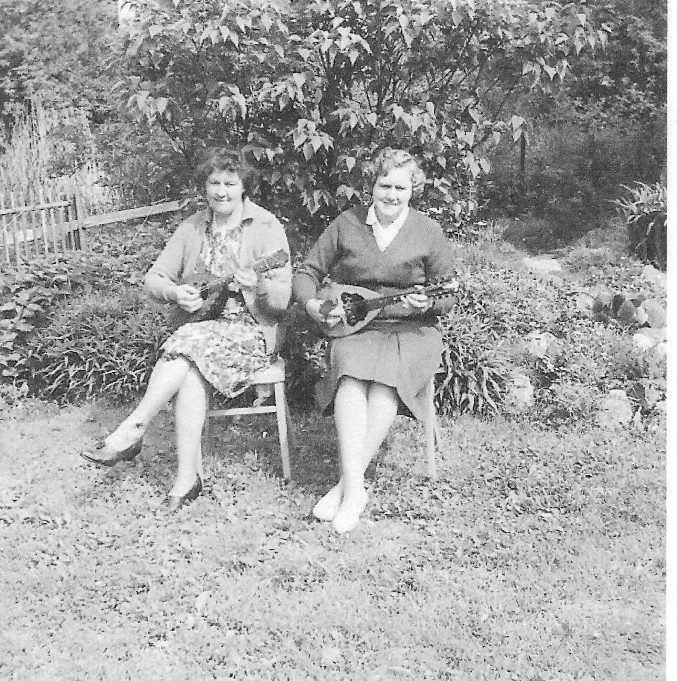 If you go to the following article ‘The WI Hut, Samuel Rd, Langdon Hills’ there is a photograph and Agnes is holding the mandolin, and peeping out at the back is Gerry. Mrs Jones was good friends with my mum. You have a picture of my Mum, Margaret Roper with Mrs Jones on here. I was really surprised to see it. They played together all over Essex, to many different people. I have so many photos of them together, I will put them on here soon. I would like to add to my comment that this picture of my Mum, Mrs Roper and Mrs Jones was taken at our house ‘Rose Villa’ which was next to St Mary’s Church Hall in Langdon Hills High Road around the 1960s.